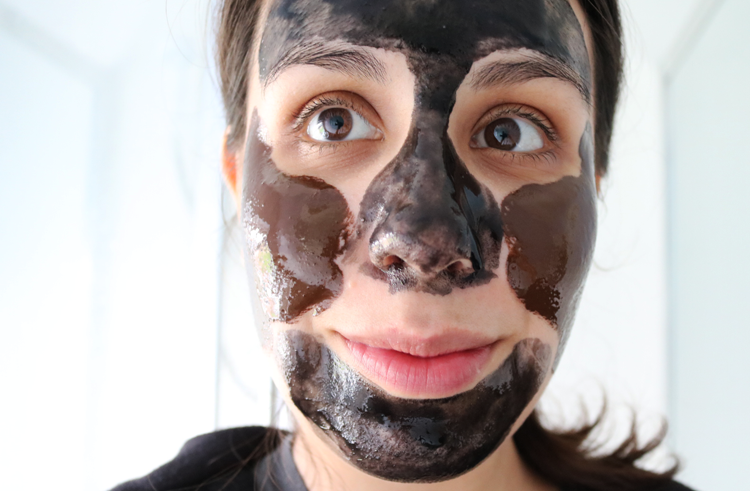 Proving that pampering yourself doesn't need to be expensive, this week's Mid-Week Pamper Treat will cost you less than £2, and you get to play around with the popular multi-masking trend. Multi-masking is a very simple concept and makes a lot of sense when you think about it. Unless you're blessed with skin that doesn't have any complaints (you lucky, lucky thing you! ), most of us will have some kind of skincare concern that we'd like to address, and a lot of us have more than one. Take a good look at your face in the mirror - does your skin feel or look dry? Do you have blemishes that you want to take care of? Too much redness? Sensitivity? For me, I have oily/combination skin which often means that my t-zone is prone to excess oiliness and breakouts (or already has some blemishes that I'd like to get rid of), yet my cheeks can feel tight and dry or dehydrated. This is where multi-masking comes in as you basically use different face masks for different skin concerns / areas of your face. Genius no?! I decided to try out the trend with these two cheap and cheerful face mask sachets from Superdrug which are only 99p each. 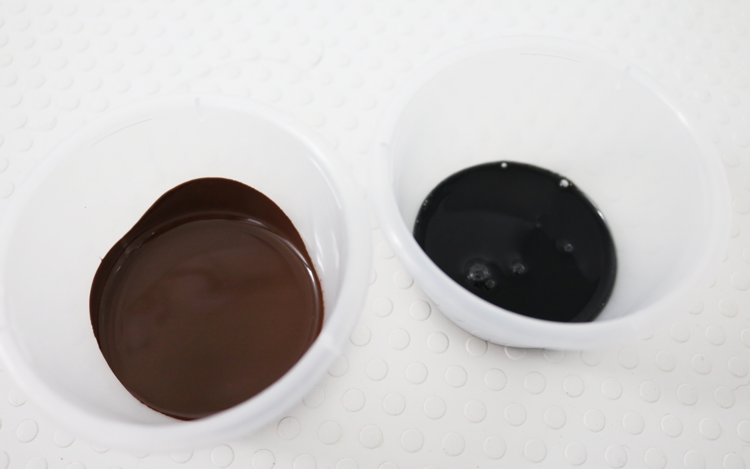 Decide which masks that you'd like to use and think about where you want to apply them. Most multi-masking combinations that I've seen on blogs just use two, but I've seen some more elaborate ones on Instagram using anything from three to six! 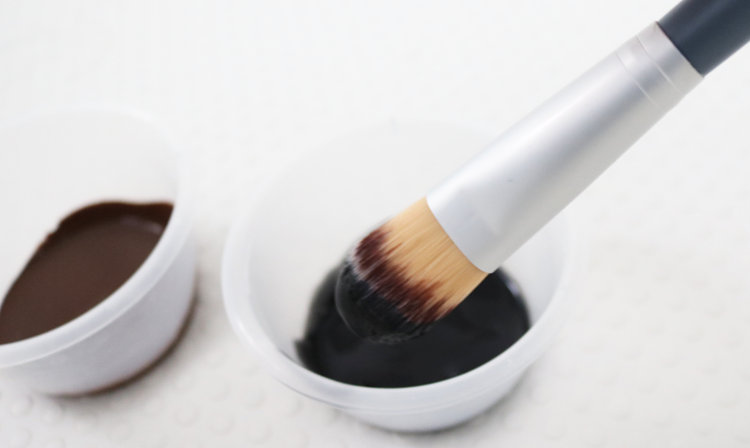 If you're using face mask sachets, I find that squeezing them out into little pots or containers makes the job much easier, and then you can store the remaining product for next time. 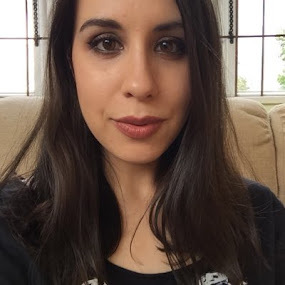 I chose Superdrug Chocolate Orange Self-Heating Mask for my cheeks as it has a moisturising formula (and yes it does smell like Terrys Chocolate Orange - yum! ), and Superdrug Black Seaweed Peel Off Mask to clear out and detoxify my t-zone area. 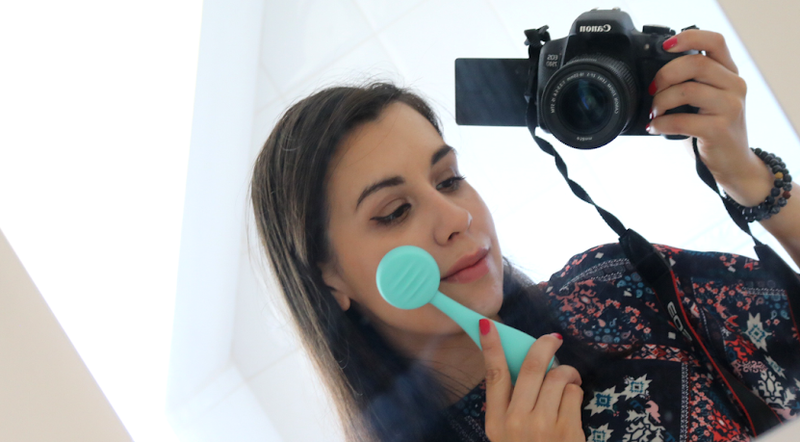 I almost always use a brush to apply my face masks because this method ensures an even application and allows you to apply it exactly where you want it. A brush also really helps with slightly runnier mask formulas that can be tricky to use with fingers. Here I've used the B. Foundation Brush* (£7.99, link) which is a great shape and the synthetic bristles are very easy to clean afterwards. Admire how ridiculous you look and then take a relaxing break whilst your masks get to work. Rinse everything off thoroughly when the time's up - hello clean, balanced skin! 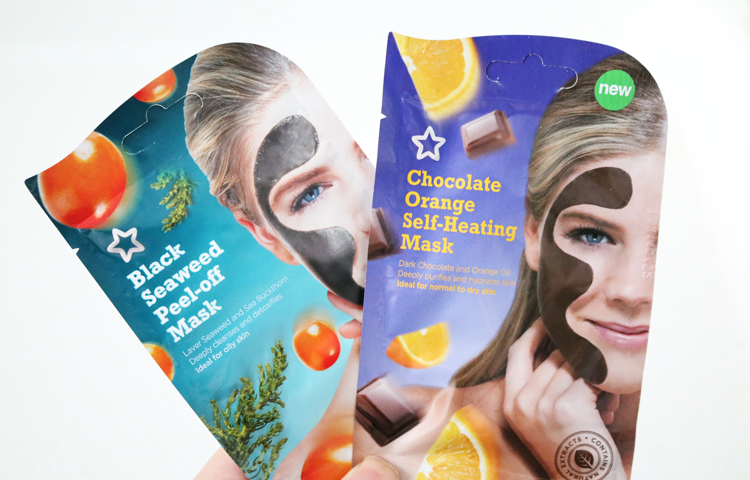 If you're on a budget or just want to try out multi-masking, and maybe don't have more than one face mask in your skincare stash, Superdrug's face mask sachets offer an inexpensive way to get in on the trend, and they're actually pretty good! 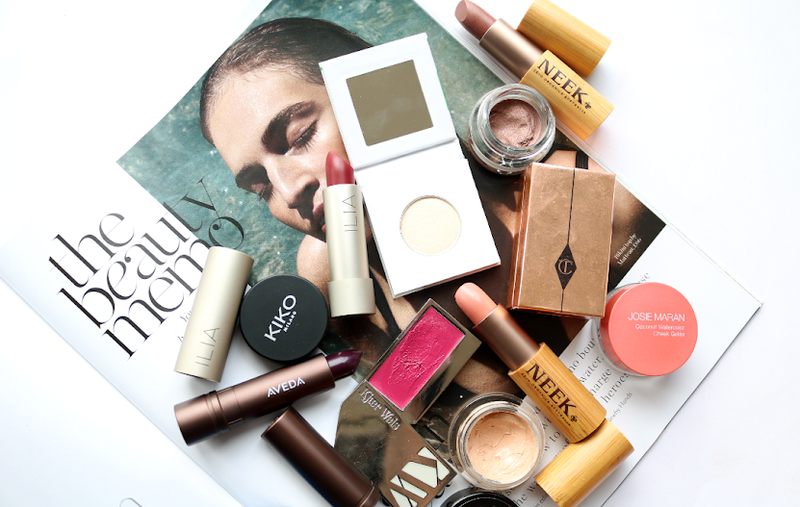 Have you tried out multi-masking?